There are a million and one remote tech support options out there. We were looking for the best one and we did it. Yeastar Remote Management can make remote technical services much more easier. Wonder how? Just check the following 3 common scenarios we think you might encounter when providing remote tech support for your customer-premised S-Series VoIP PBX , and you will find Yeastar remote management extremely useful. When the customer needs a debug, and to gain remote server access, you will ask “Send me the IP address”. Plain and easy enough from an expert side. But rather than what you expected, the customer will probably send you the internal IP address of the PBX, in which case you will need to teach the customer to do port forwarding, which is time-consuming and possibly cumbersome for the unskilled customer, not to mention that port forwarding might pose potential security threats. You need a tool that can help you solve remote problems without complex steps or difficult preparations, and Yeastar Remote Management is a perfect fit. It allows you to concentrate on your work. Needless for clients to do the difficult port mapping, with a simple click and link generation on the system, secure encrypted remote access and system debug is realizable. When you coolly control your customer’s computer remotely to configure S-Series, the customer might conversely be under a great pressure of data breaches, for when you take control of the computer, you are inevitably granted the access to the private corporate networks and local resources. As such, to prevent any confidential documents from being accidentally viewed, the customer might need to fix his eyes on the screen and watch for your operations, which is quite frustrating and undoubtedly will reduce the work efficiency of the customer. Professional remote technical services should be conducted in a way that is favorable for customers rather than posing extra burden. And Yeastar Remote Management offers the easiest and most favorable way. 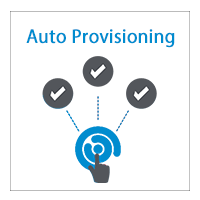 By leveraging the system, all remote configurations can be completed solely on your technician’s computer via an HTTPS secured link, which helps free your customer from desktop sharing and allows them to enjoy a peace of mind while you are doing the support, ensuring the best customer experience. 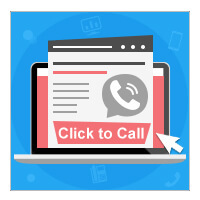 When you are encountered with a customer PBX problem that you can’t fix and need instant technical support from your distributor or directly from Yeastar, Yeastar Remote Management can offer you the most convenient way. The advanced technology it adopts allows secure remote connections from any active browser. Whenever you need, just send over the authorized remote PBX access URL and let your distributor or Yeastar help you fix the problem directly. Yeastar Remote Management allows you to manage and monitor customer-premises S-Series VoIP PBX easily and securely while ensuring the best experience for your customers, with which remote tech support gets a lot more easier. Just give it a shot and maximize ease of use for both yourself and your customers now!